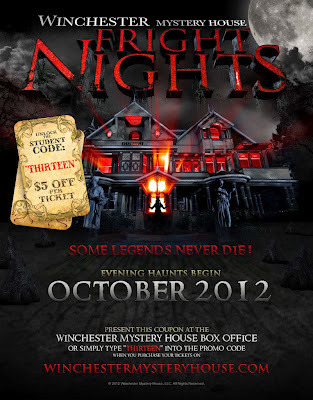 There's a contest going on at DailyDead.com where you can win tickets to Fright Nights The Winchester Mystery House! 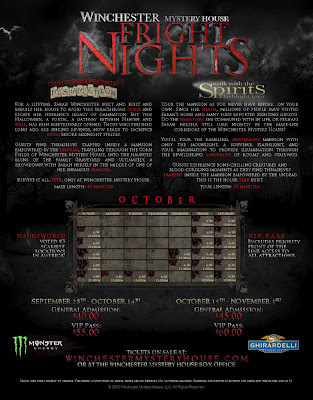 It’s their second year in which you...yes, YOU could win tickets to the world-famous haunted house of Sarah Winchester! 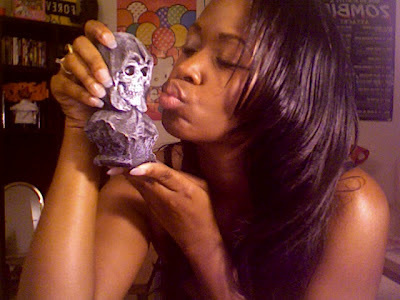 This year will be kicking off on Friday, September 28th, 2012! They'll be open through September, October AND November! On with the prize details! They're giving away 10 pairs of tickets. 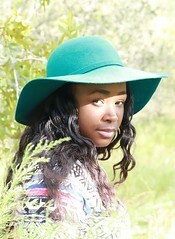 But of course, the prize does not include travel/lodging expenses...don't get ridiculous! You'll be able to pick a time/day listed on the official website HERE! For more information it, head over to DailyDead.com! Real Queen of Horror now has a Facebook page therefore you should LIKE the page because not only is magical but you can get horrific updates on horror, more horror, me & horror! The link is HERE so don't hold out any longer! Although I'm late, it's September! It's time to share the list of all the delightful horrors that are coming out this month! 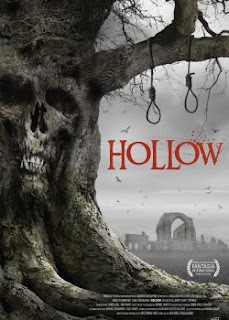 It doesn't matter if it's straight to DVD or theaters--horror is HORROR! The original REC crew is back and ready to fight for survival against the zombie infection. Whoo hoo! I absolutely love this series and canNOT wait to see it! 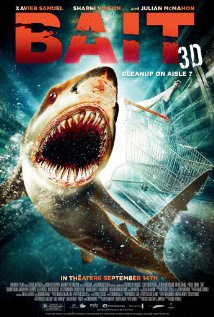 A tsunami hits a beach town and then bloodthirsty sharks begin to pick the survivors off one by one. 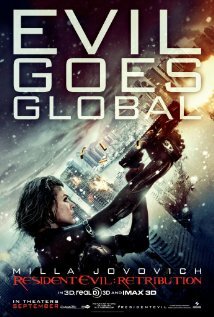 Soon, the group realizes that they must work together to find a way out without being eaten alive. So..if you watched the previous Resident Evil's, it's kind of the same story line. Alice continues to hunt those responsible for the outbreak. But, this time around the adventure will lead her to Tokyo, New York, Washington, D.C. and Moscow. She'll be aided by new allies and familiar faces. All will have to fight to survive. A remote village in Suffolk, England, has been haunted by a local legend for centuries. Pretty much...four friends on vacation explore the local folklore but soon realize that belief in a myth can quickly turn into reality. This brings horror to life for the friends and town. Bleh. Sounds kind of plain but I may check it out. 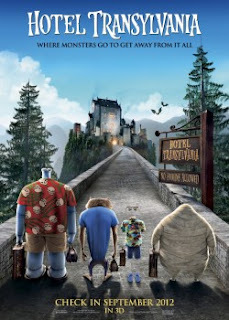 At Hotel Transylvania, Dracula’s lavish five-stake resort where monsters and their families can live, Dracula has invited some of his best, legendary, monster friends to celebrate his beloved daughter Mavis’s 118th birthday. But Dracula is bothered immensely when an ordinary human stumbles on the hotel and takes a notice of Mavis. 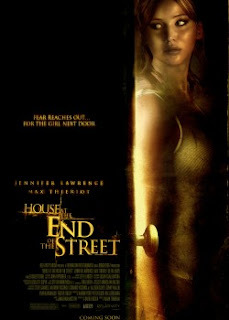 House at the End of the Street - RELEASE DATE: September 21st, 2012Newly divorced, a woman and her daughter finds the house of their dreams in a small, upscale, rural town. However, unexplainable events begin to happen! *GASP!! * Soon the mom and daughter find out the town has a chilling secret. Years earlier, in the house next door, a daughter killed her parents in their beds then she disappeared. She had a brother who survived. And from there...expect some THRILLERish stuff. From the previews, I thought this movie was going to be similar to Jennifer's House but I could be wrong! 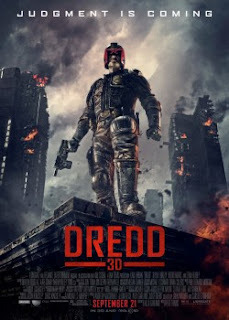 Dredd - RELEASE DATE: September 21st, 2012Where the police have the authority to act as judge in this violent yet futuristic city, a cop teams up with a trainee to take a gang that deals with the reality-altering drug, "SLO-MO". Um... don't think this is horror but I'm pretty sure it has some horror qualities! FDR: American Badass! 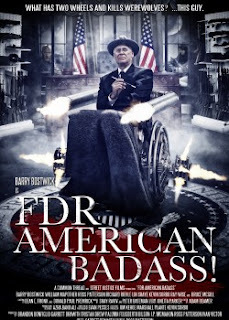 - RELEASE DATE: September 25th, 2012So this film is about Franklin D. Roosevelt (DUH!) but he's a "badass" werewolf hunter whose tracking down some people like Adolf Hitler, Mussolini and Hirohito in his customized wheelchair of death. So, yeah, this isn't the FDR you know. He's badass! The Hole - RELEASE DATE: September 28th, 2012This 3D thriller explores the fears and secrets buried deep within the human mind. After moving into a new neighborhood, two brothers along with their neighbor discover a bottomless hole in their basement. Furthermore, they discover that once the hole is exposed, evil is unleashed. So...yeah, you know it's not going to be anything less than horrific. This kind of sounds similar to The Gate. :| Am I the only one who thinks so? Well...maybe I'm wrong. 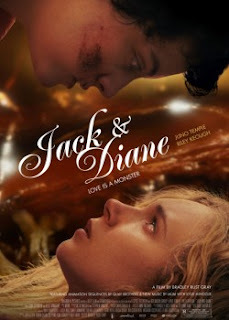 Jack and Diane - RELEASE DATE: September 28th, 2012Two teenage girls meet and fall in love and stuff. Through these awkward and insecure feelings, these two girls must struggle to turn their first love into an enduring one. How is this even in the horror section?? I mean the tagline is: "Love is a monster." I sense that it'll be slightly lame...like that movie Bug, where it was false advertisement. 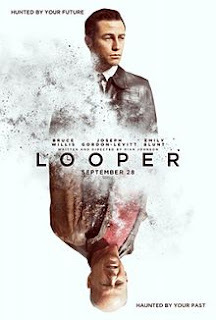 Looper - RELEASE DATE: September 28th, 2012This film focuses on a group of killers who send bodies of their victims back in time. This movie looks like it'll be pretty good! The Helpers - RELEASE DATE: September 28th, 2012Seven friends on a road trip to Las Vegas break down near a rest-stop motel where they encounter a seemingly helpful group of people. Convinced to stay overnight, the friends wake up in their rooms to a gruesome and bloody terror.